It all began with one of the Prohibition era’s most successful Canadian whisky entrepreneurs, Harry Hatch. Through the turbulent years of the 1980s, whisky sales declined dramatically with a number of distilleries being sold, merged with others, or simply closed. Rich & Rare turned out to be one of the brands that carried on unperturbed throughout it all, just as it does to this day. 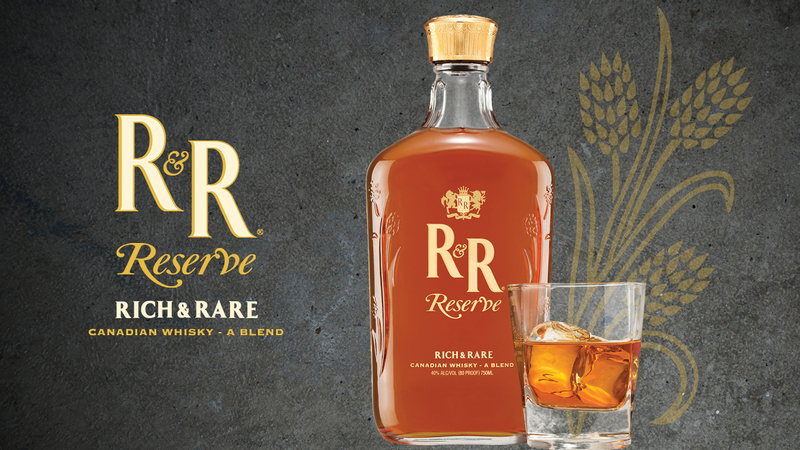 Rich & Rare Reserve Canadian whisky is now an established Hiram Walker brand, one of the largest spirit producers in the world. Distilled in Walkerville, Ontario, this Canadian whisky is made drawing from the regions exceptional quality of local grains. A number of different grains are used, each fermented, distilled and aged separately. These blends are combined together prior to bottling to create the smooth unique taste that is Rich & Rare Reserve. With over 20 years of Canadian whisky expertise, Drew Mayville has earnt his reputation as a leading master blender and whisky maker. He uses this expertise to proudly offer the highest quality Canadian whiskies on the market. To guarantee the quality standards and unique smooth profile of Rich & Rare are maintained, he personally selects the barrels that will be used. A whisky well deserving of its moniker, Rich and Rare Reserve comes from a full-bodied blend of hand-selected reserve barrel whiskeys that are brilliantly intermingled together. The nose is an introduction to the velvety depth that awaits. The initial sip shows the complex luxury of berries drizzled with mocha and caramel. A zesty explosion drenches the palette with a wonderful seasoning merger of wood and rye grain blending with tangy dark fruits. The finish is a lively two-step of rich sweetness and the zing of rye, twinkling down the taste buds.